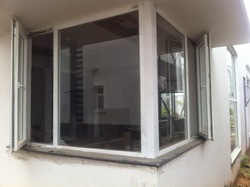 Glass-to-glass window features a fixed window unit, where the glass panes are neatly joined together without using any mullions. Contemporary and stylish, this window style offers the spectacular seamless view, brings in maximum sunlight, while adding a whole new architectural dimension to the home. One of the earliest forms of windows, the casement has been around for centuries. 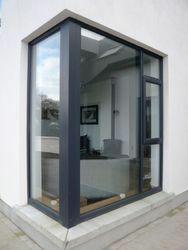 It features a sash that is hinged from the side on an outer frame and can open inwards or outwards, to the left or right, allowing maximum flow of air into the room. 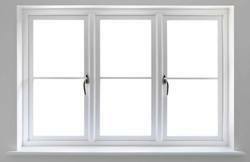 Extremely energy efficient when closed, this casement window comes in varied designs like side hung, top hung etc. Fixed windows are stationary, non-opening UPVC windows intended to allow light into the room, offer an unobstructed view of outside and enhance the aesthetic of a home. 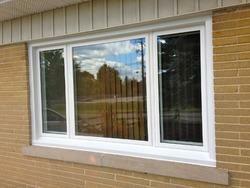 It can also be paired with other window types to create a multi-utility system.